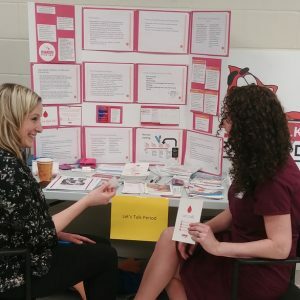 Lisa Thibeault, a nurse with the South Eastern Ontario Inherited Bleeding Disorders Clinic, was recently invited to showcase the Let’s Talk Period initiative at the Kingston Health Sciences Centre’s 2018 Community Showcase & Interprofessional Expo – the KHS Expo. 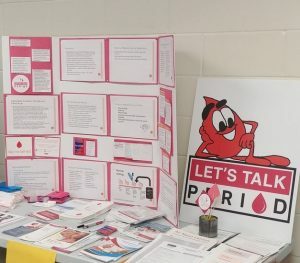 The KHS Expo took place in the last week of January. This event is aimed to promote interprofessional communication and awareness. Many colleagues learn about each other within the hospital, and pass on our knowledge to any visitors. The day-long expo event was well attended by staff, trainees, patients, and their visitors. It showcased the community built around the hospital, personal, and professional! 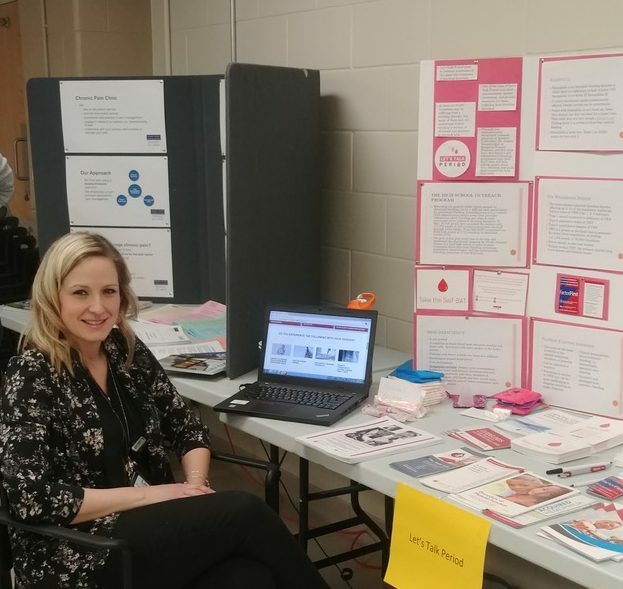 Lisa has been involved with various Let’s Talk Period outreach activities in the local community, and set up a booth with information about bleeding symptoms and the statistics surrounding our studies. She provided information on inherited bleeding disorders to the hospital community, and the Self-BAT scoring tool. Many people stopped by the booth looking for information, and Lisa was overjoyed to help! We’re proud to have been a part of another successful event! We appreciate the opportunity for a safe space to inform the community about bleeding disorders and their symptoms. Knowledge is a step closer to getting the help you deserve.